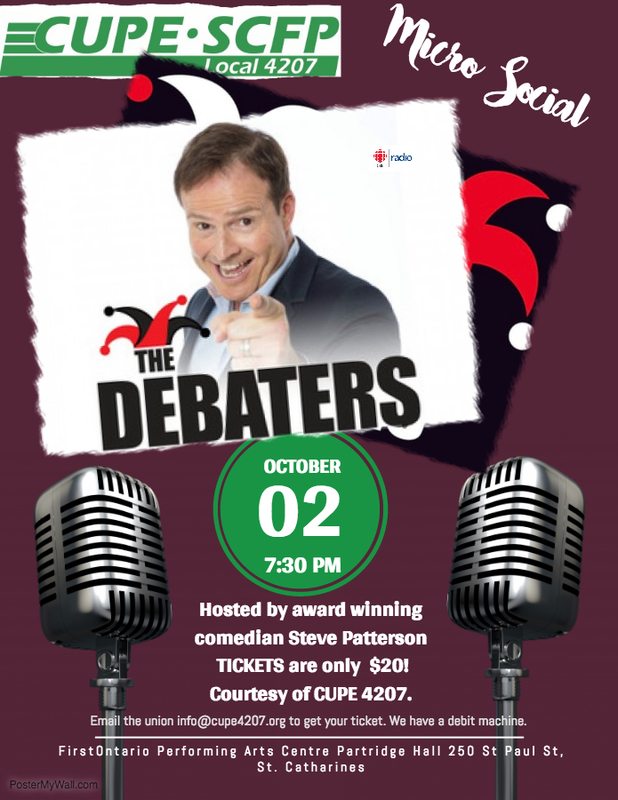 The Debaters are coming to St. Catharines! Our local has purchased 10 tickets or members who indicate they want to go. October 2, Tuesday, 7:30 pm. The tickets are available for mere $20 for this famed, hilarious and witty CBC radio comedy show. Just email the union at info@cupe4207.org if you would like to go. You can pay cash or by debit (we do have a debit machine…). To see what is this about check out/download the past shows here.